Creigh ton Manning is proud to announce that Dan Quiri has passed the Professional Engineer (P.E.) exam in New York State. 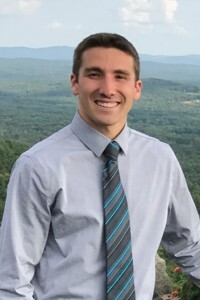 Dan joined Creighton Manning in 2013 after graduating with his Bachelor of Science degree in civil engineering from Rensselaer Polytechnic Institute. Over the last four years Dan has been involved in a wide-range of multi-modal transportation design projects specializing in transportation modeling, intersection and crash analysis, traffic data collection, sign design, and report preparation. Congratulations Dan on this impressive career achievement!